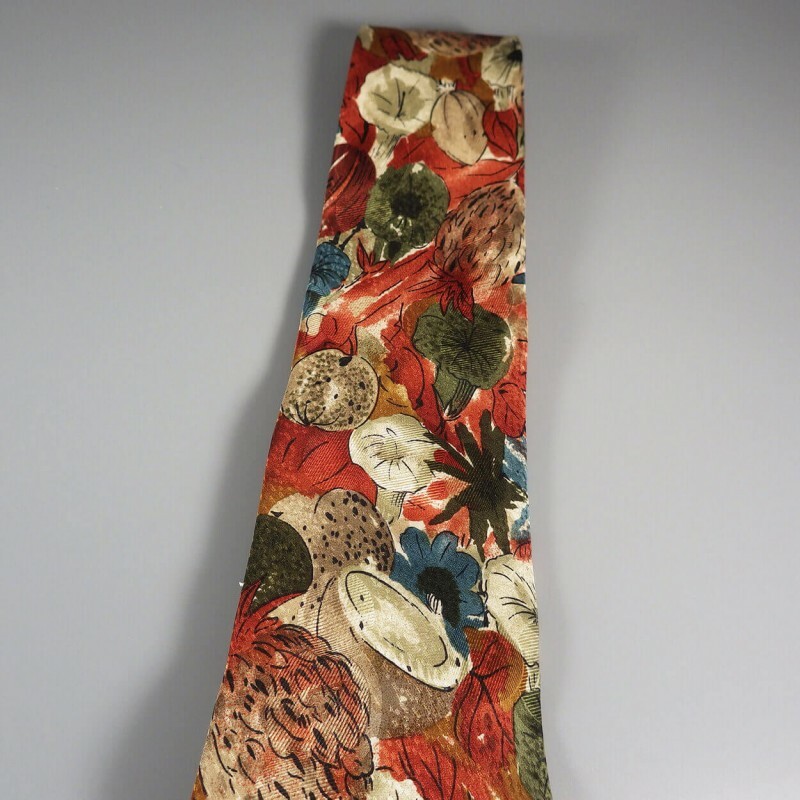 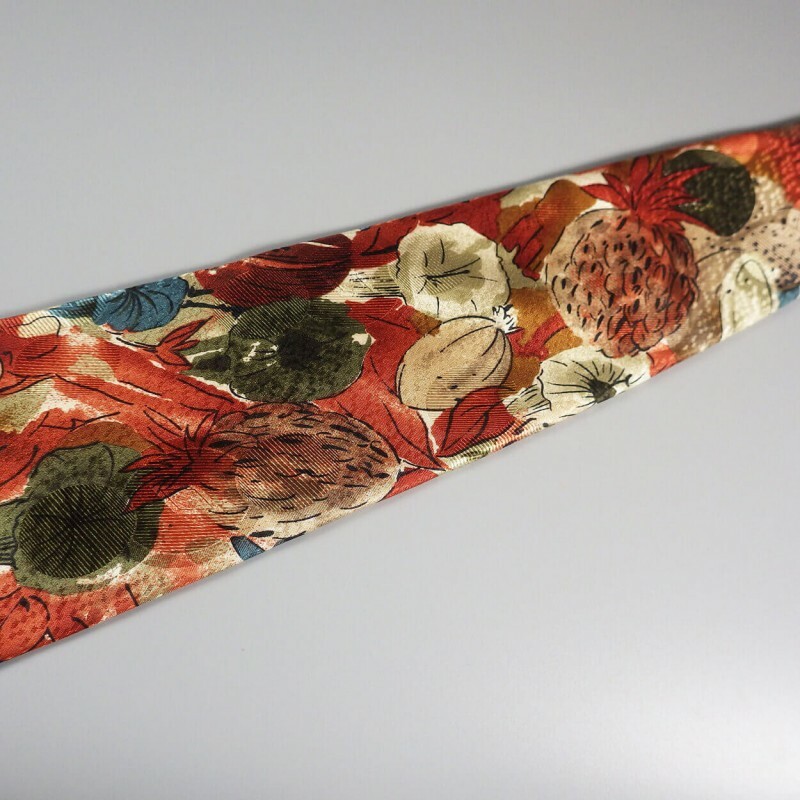 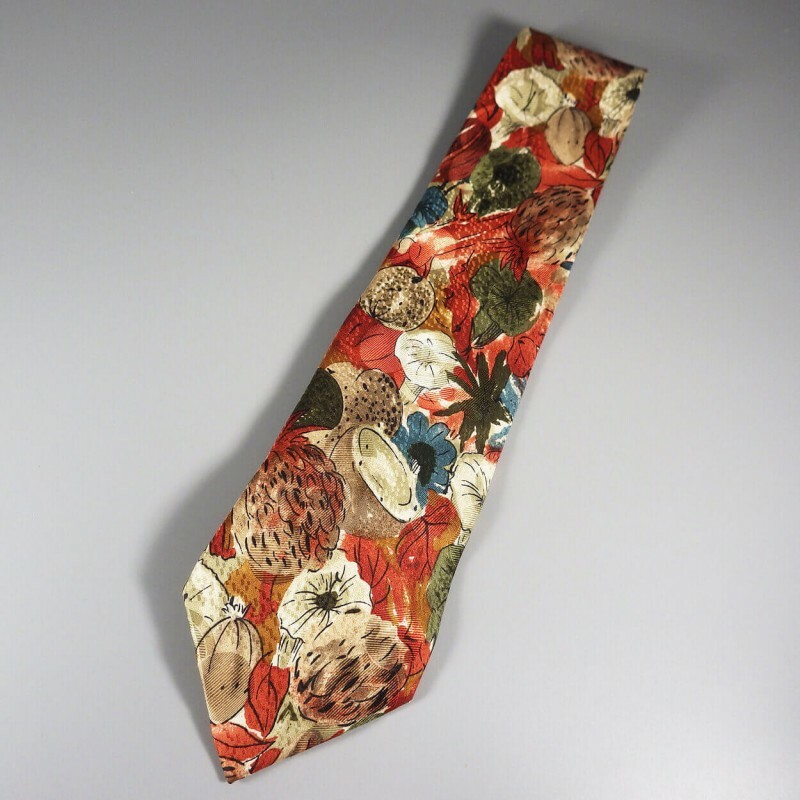 Another handsome Ermenegildo Zegna Italian silk men's vintage tie styled in a wonderful variety of Fall colors, with an organic depiction of a Hawaiian or other tropic island (Tahitian) fruit and flower harvest in watercolor design. 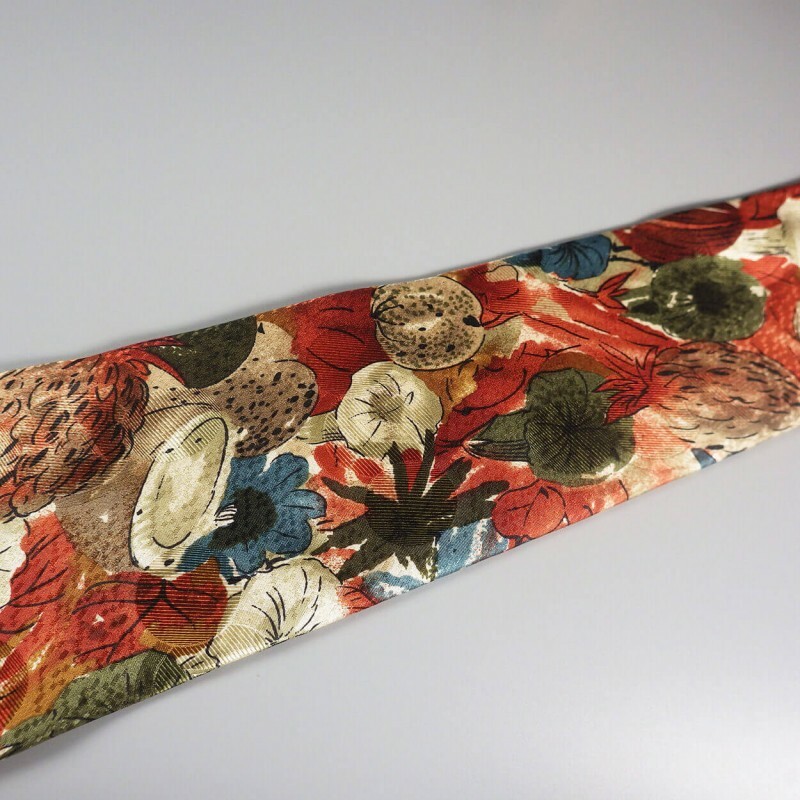 Tie measures 57 inches long and 3-5/8 inches wide. 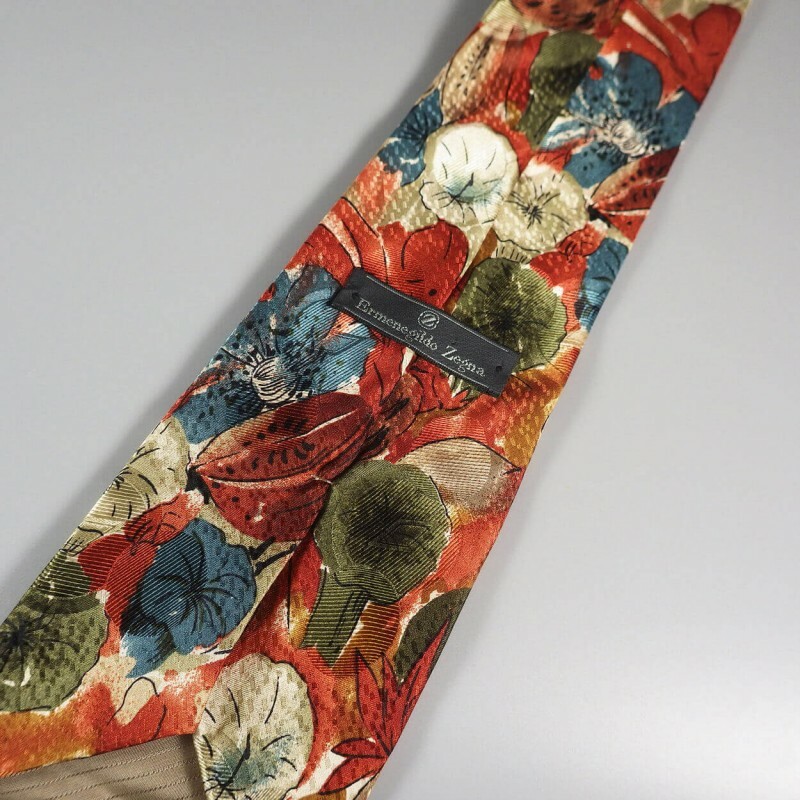 Maker's label is that of Ermenegildo Zegna, with a second smaller label confirming it is 100% silk and Made in Italy. 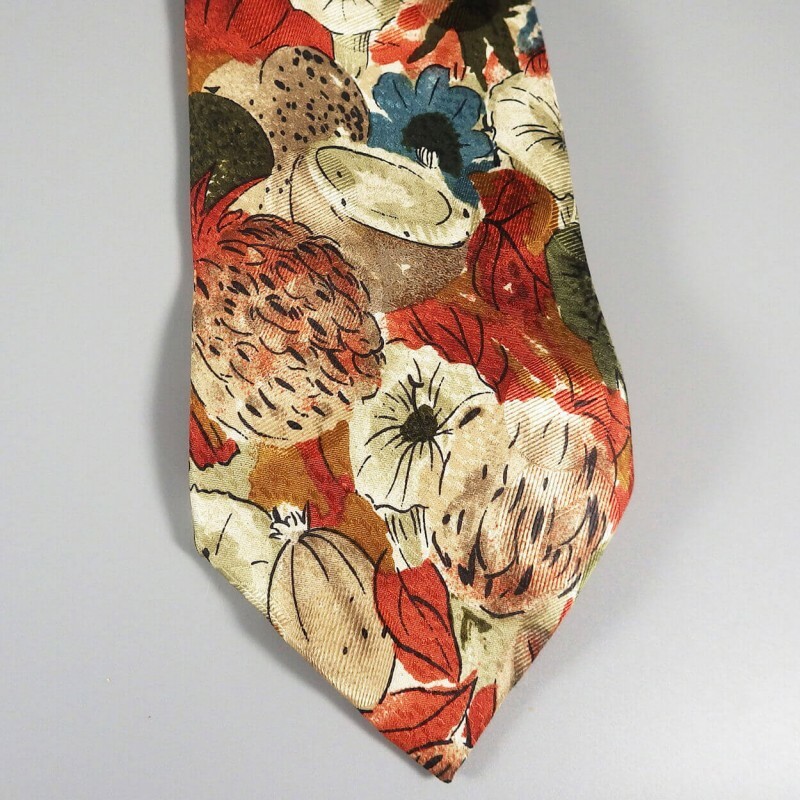 In excellent condition, with no snags, tears or discoloration noted. 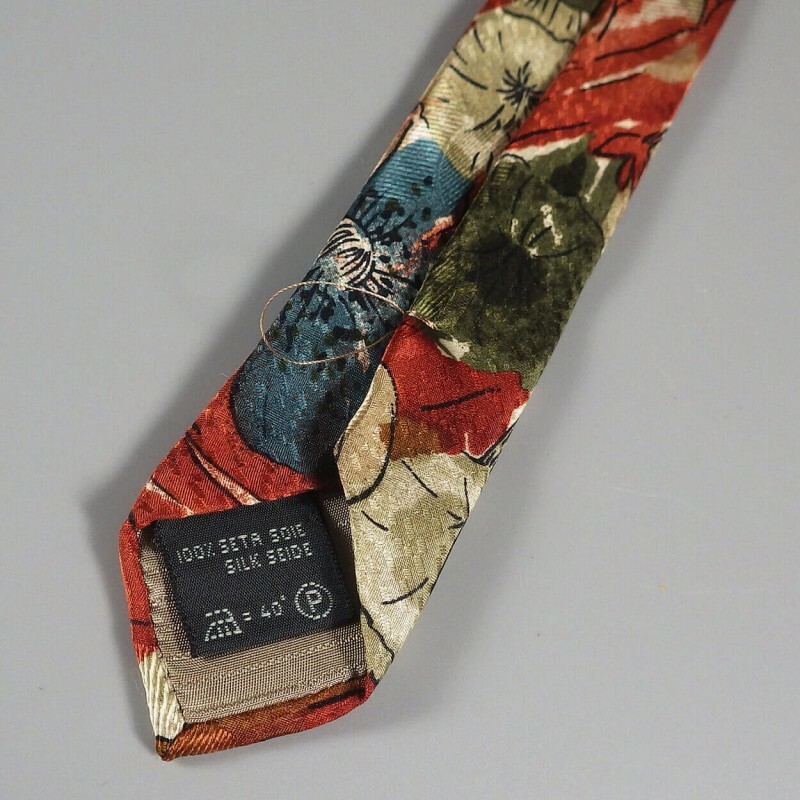 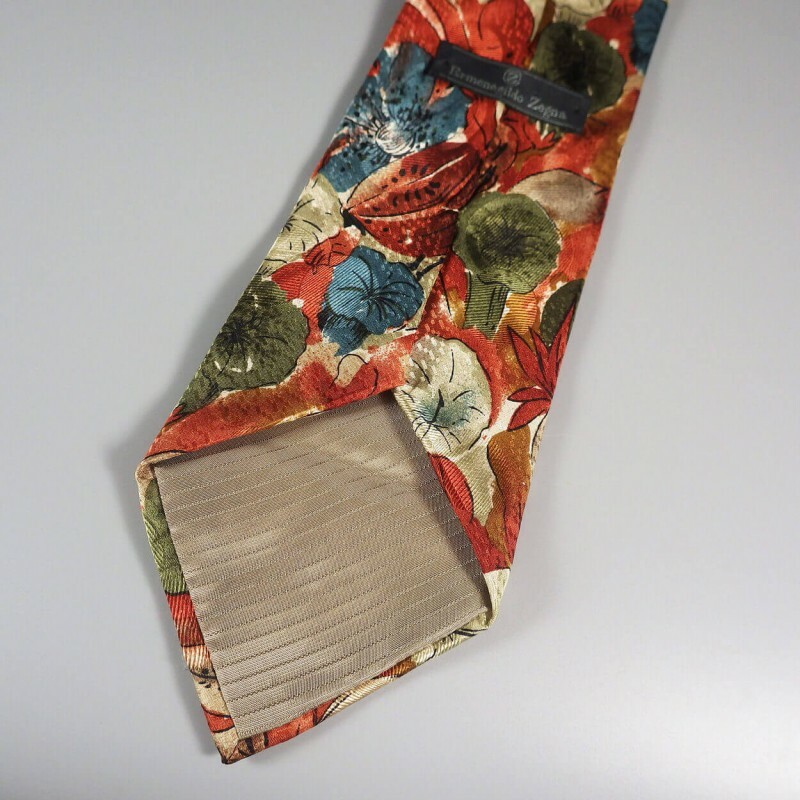 You'll find other vintage men's ties featured below.